IT seems strange today to imagine a windmill in Limerick city, even though Windmill Street, which runs from Henry Street to the Dock Road, is a constant reminder. Laurence Durack then took over the mill, which was a large, tall, round, stone building, and which, pierced by windows, tapered inwards towards the top. The windmill was only in operation for a few years when it was struck by the first of two major fires on January 29, 1803. This fire did not damage the internal machinery and it was up and running quickly after the fire. 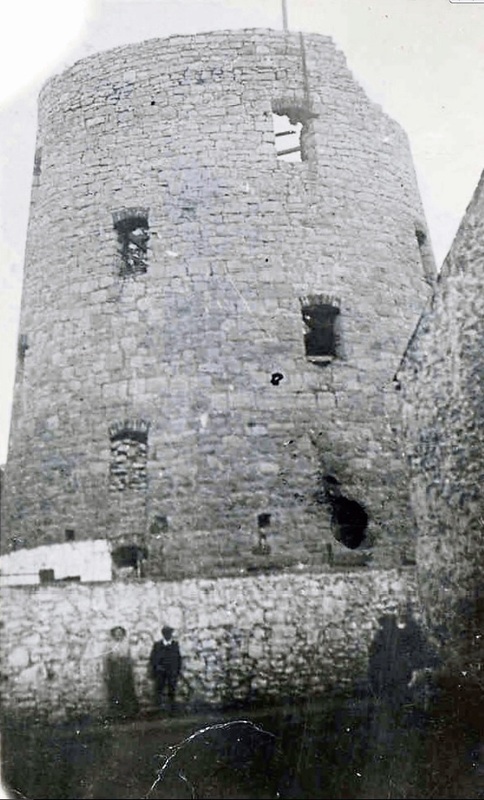 “In consequence of a misunderstanding and warm altercation at the County Courthouse on Wednesday, between Counsellors O'Connell and Magrath, the parties met early on the following morning, at a field adjoining the Old Windmill; Mr O'Gorman who attended Mr O'Connell, and Mr Bennett, who attended Mr Magrath, measured the ground, and the parties were immediately placed on it. A number of gentlemen here interfered, and after much conversation, Mr O'Gorman contested that the business should be adjusted, on Mr Magrath's declaration from his ground, with a loaded pistol in his hand, that he lamented what passed, and was sorry for it. Here Mr Leader threw in, requesting, as Mr O'Connell was well known to entertain no enmity to Mr Magrath, he should say on coming to his ground, that he was about to fight a man against whom he entertained no enmity. This proposal created some pause; but Mr O'Gorman at length, on the earnest interference of mutual friends, and after consulting for some time apart, with all Mr O'Connell's friends present, assented. Both gentlemen then came on their ground, with loaded pistols in their hands, and having complied with the above terms, immediately advanced amidst the loudest acclamations of all persons present, and shook hands. This was the last major event witnessed by the windmill of Windmill Street, as a second fire, which completely gutted the building, on November 15, 1813, consumed it. Jack O’Sullivan tells of this fire in an article for the Leader on June 9, 1952: "The machinery was all in motion, though on fire, a brisk gale of wind blowing, the night dark, and the spectacle awfully and sublimely grand". The windmill remained standing, though disused, for over 100 years. It was dismantled between 1915-16, when the stones were used as ballast on ships.